Although it’s difficult for us today to imagine making long journeys by foot or by sea, the medieval world was a bustling place. Merchants, diplomats, and individuals on religious pilgrimages regularly traveled across the European continent, and sometimes beyond, for a wide variety of purposes. These journeys allowed for important cultural exchange and trade, and helped scholars to begin to understand Mediterranean geography. These journeys, of course, were not quick. As such, travelers needed a place to rest. Inns were born from this need. At first, they merely offered places to sleep. As time went on, they began to offer other amenities, like meals, baths, and stables. Farther east, in China and Japan, baths and inns for travelers popped up even earlier. The oldest consistently operating hotel on record is Nishiyama Onsen Keiunkan, as a resting stop for traveling Japanese soldiers, which began hosting visitors as early as 705 A.D. The hotel is still open today, and still offers the relaxation of its hot springs that it offered to visitors 1,300 years ago. 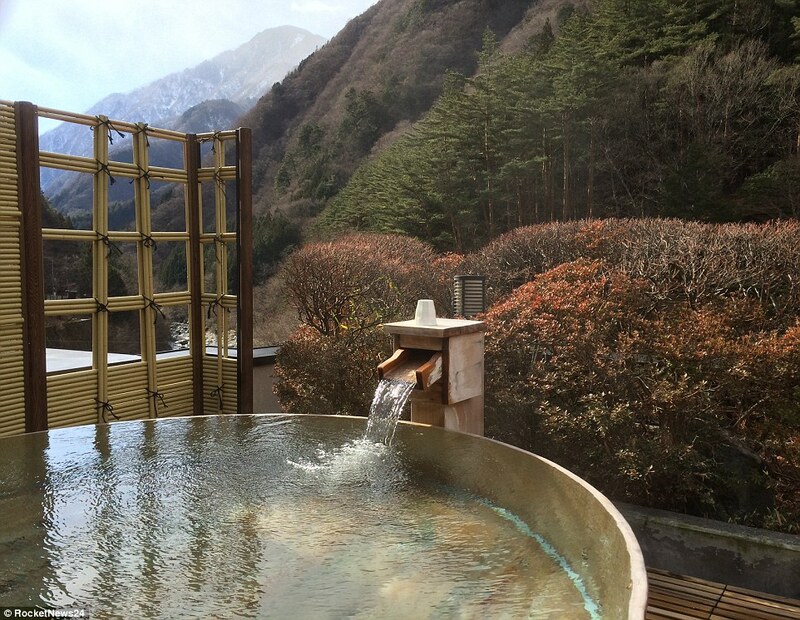 An outdoor bath at Nishiyama Onsen Keiunkan. 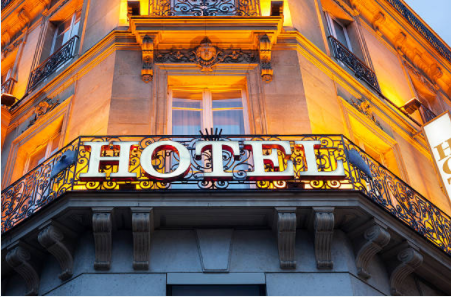 The first institutions that resembled hotels as we know them today appeared in France and England sometime during the fifteenth century. Over the next few centuries, and especially after the Industrial Revolution, the number of urban hotels grew rapidly, with cities being the new epicenters of activity. As new technologies were developed and perfected, hotels adapted and modernized accordingly, eventually incorporating electricity and indoor plumbing.